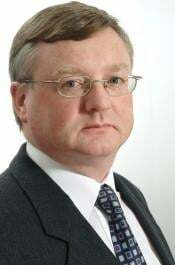 Paul McVeigh a special correspondent for Automotive News Europe. Volkswagen still has a long way to go to achieve its aim of selling more cars than world No. 1 Toyota, but the German automaker is already ahead of its Japanese rival when it comes to bringing technical innovations into production, an academic study shows. VW group, including its luxury Audi subsidiary, topped a survey that graded carmakers' technological advances according to whether they have appeared in production models. With 64 innovations that made it into cars last year, VW was ahead of second-place Toyota, which introduced 56 innovations that customers can order, according to the study by the Center of Automotive Management at the Bergish Gladbach University of Applied Sciences in Germany. Ford was No. 3 in the center's ranking, followed by Daimler, BMW and General Motors. VW, like all the 19 global automakers studied, is concentrating its research and development on making cars more fuel efficient. Powertrain innovations helped the automaker win a high score in the study. An example cited by the center is the advances that brought to market an Audi A3 with CO2 emissions of 99 grams per kilometer and fuel economy of 3.8 liters of diesel per 100km (62 U.S. mpg). Center director Stefan Bratzel believes the contest between VW and Toyota for global leadership will largely be fought on a technological level and green technologies will be decisive. "Automakers, even premium brands, have learned that they can't sell cars with poor fuel economy and a bad environmental image," Bratzel told me. He said VW has an advantage because it has greater flexibility, although Toyota is catching up because it is improving the fuel efficiency of its conventional gasoline and diesel powertrains and not just relying on hybrids to boost its green image. Said Bratzel: "Carmakers strove for faster, bigger and more comfortable cars in the past -- now the mantra is to build cost-effective and environmentally friendly vehicles."